My first website I designed was my quarter two website during my Associates degree. I created it with Adobe Dreamweaver and Photoshop in my Dreamweaver and Design II class. I needed a serious topic in which I felt passionate about. I chose to do my site on Ancient History because I love Ancient History, and I wanted to shed light on a subject, that I felt didn’t get enough attention. There are a lot of groundbreaking discoveries being made in this field and not enough is being said about them. The quarter three website was an HTML website. I hand-coded the site using TextWrangler on a Mac and Notepad on a PC. We had a little freedom to choose a topic for the website. It had to be about a subject about which we had great deal of knowledge. Since I am also a musician, I was interested in creating a website dedicated to the most innovative rock bands in history of Rock and Roll. For both of my websites a lot of research was dedicated to making sure I was providing the correct information in the body text of my websites. I created this website using Adobe Photoshop, TextWrangler, and Notepad. 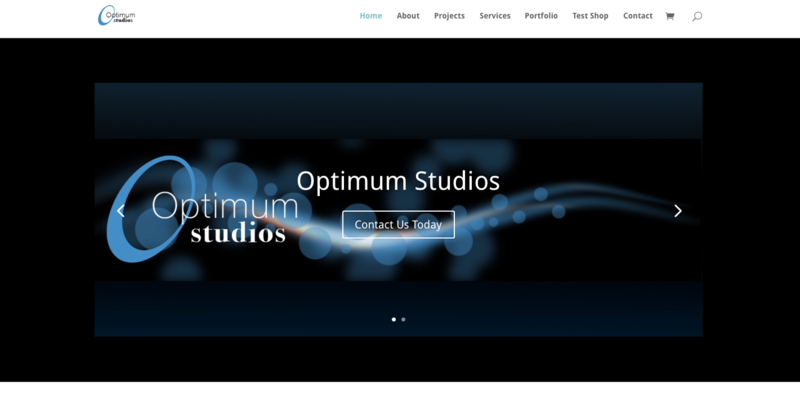 Optimum Studios was a WordPress CMS website I built at the beginning and during my Bachelors degree for a design company I ran with my fellow classmate and friend Kasey Sparadeo. For our company we primary built WordPress websites and did some company branding as well some print work. Working closely and running my own design company along with my friend Kasey was great learning experience. It was also great to get some real world experience in the design field other than a internship or part time job. 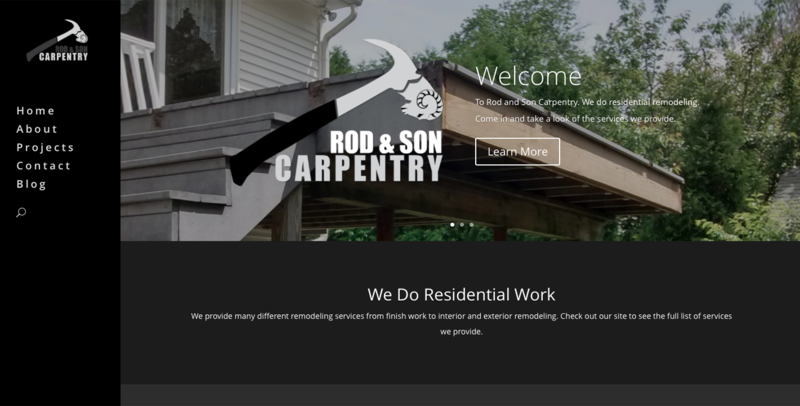 The Rod and Son website was a WordPress website that I built for my best friend Rod. He had just started his own carpentry company and needed a website built as well as a logo and business card. I was more than happy to build the site and brand his company as well as set up social media business presence for him. Once all the work was complete, he was really happy with site and to have a nice business card site for potential clients to see. 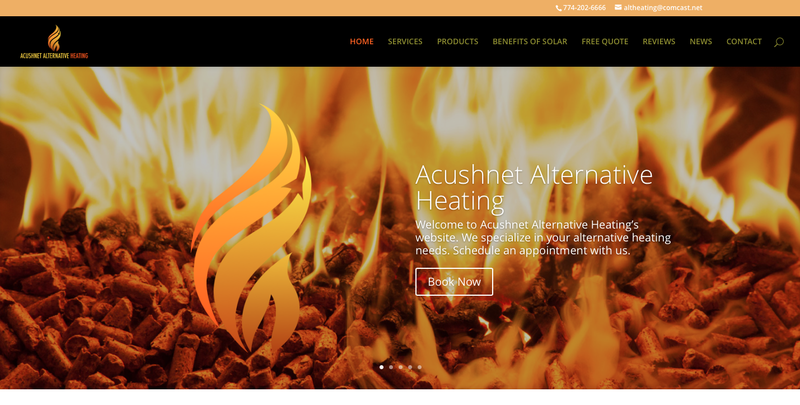 The Acushnet Heating website I redesigned while working at Acushnet Alternative Heating. This was their main website and it was one of four websites that I was to design for them. I designed site by creating visual designs for the website in Sketch and implemented those designs in WordPress. They had old site that wasn’t responsive and needed to be updated. You can see the comparison of the new and old website on my Case Studies page. 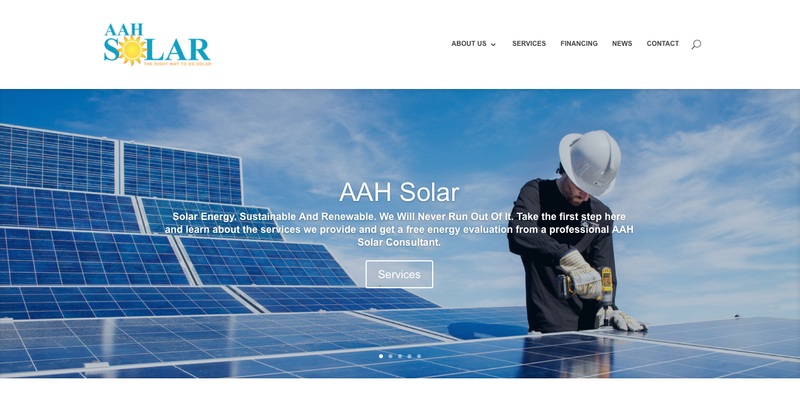 The AAH Solar website I redesigned while working at Acushnet Alternative Heating. This was their other main website and it was the second of four websites that I was to design for them. I designed site by creating visual designs for the website in Sketch and implemented those designs in WordPress. They had old site wasn’t too old but still in need of an update due to how some it was laid out by the original designer. You can see the comparison of the new and old website on my Case Studies page. My portfolio website was originally built and designed in 2013 at the end of my Associates degree as a child theme of the 2011 WordPress theme. The redesign for this began in the during my fifth quarter of Bachelors program where I used HTML to build the sites homepage and portfolio as a template to later be built as a theme in WordPress. The current version of the site is major upgrade over my old associates version of this site. 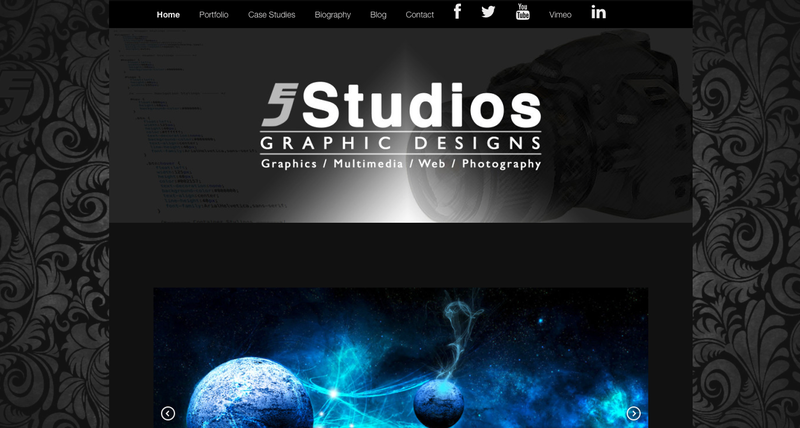 As you can see since you are currently viewing my website that this is the new and improved version of EJ Studios. Everything on this site has been upgraded from the layouts, sliders, galleries, navigation, and of course the content has been updated and improved upon. 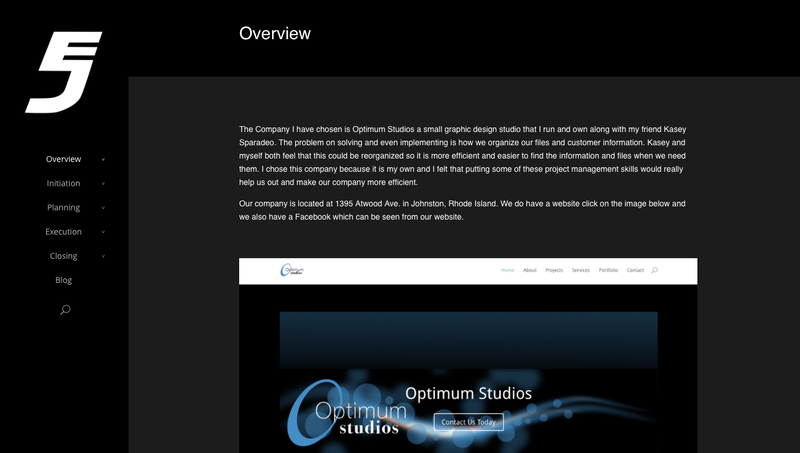 When I originally built my portfolio website I was more worried about the actual designs I was putting up on my site. I didn’t really have the time to put more effort into the layout of the designs on the site, due to the time constraints at the time. This time though, I made sure to put more time into layout of designs and text on the pages. 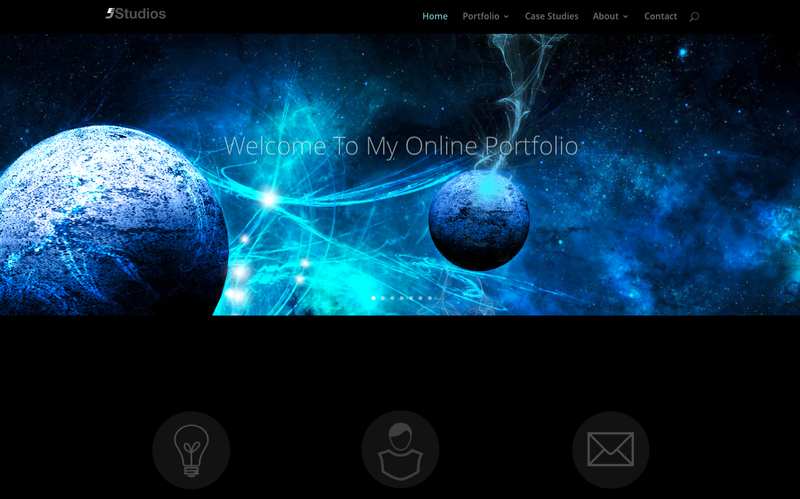 I am really happy with the new version of my portfolio and now it is something I can be proud of, that I designed. For the look and feel of my project management website really want it to tie in with my portfolio website, so I used the same color scheme. The only difference for this site is that I used a side bar navigation for it. I made this website because it was a part of a ten week assignment dedicated to project management during the fifth quarter of my Bachelors degree. Check out the site for more details about my project management’s subject for the websites assignment.